Although a great deal has already been written about Lutyens’ work and the debt we owe him for our architectural heritage, Cole offers a fresh perspective. Written in chronological order, this visually stunning book covers the architect’s earliest houses dating from the early 1890s to 1910, leading the reader through the progression of Lutyens’ evolving style and design concept. The Arts and Crafts movement is completely my taste so I have long been a fan of this style of house. On reading the book I quickly realised that, just like the prints and interior designs of Liberty & Co, Lutyens’ genius architectural vision is what I consider to be quintessentially Arts and Crafts. I have always appreciated his design integration with the contours of the landscape. The gardens, often designed by his business partner and landscape gardener Gertrude Jekyll, were so obviously part of the great plan. Their concept of the garden as ‘outdoor rooms’, now an accepted design idea, was unique at the time. Lutyens’ houses appeal to me for many reasons, not least the warm colours chosen for the building materials and the gentle interior light they create. But it’s the stylish comfort which most attracts. 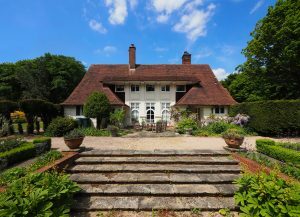 Many of these houses were country retreats or retirement bolt-holes and each one has an unmistakable homely grandeur – all of which is deftly captured by Cole’s photography. 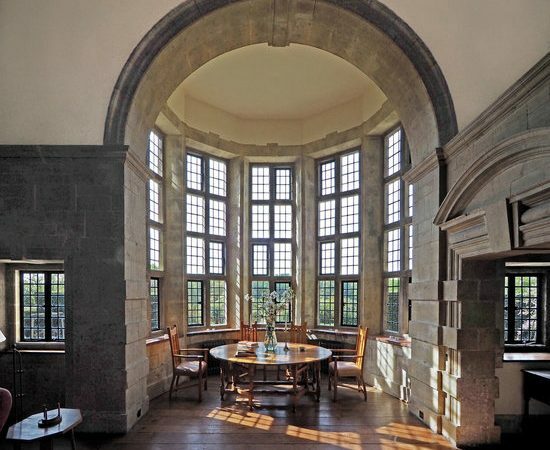 Many images feature interiors including Lutyens’ brick and inglenook fireplaces. I adore these spaces; they conjure images of cosy winter nights spent basking in front of a huge roaring fire, probably with hot buttered crumpets, cocoa and a good book. Other design elements which jump out at the Lutyens aficionado are skilfully captured, such as sumptuous wood panelled interiors and vaulted ceilings. Even seemingly minor details like casement latches and doors are works of art and elegant in their simplicity. On the other hand, this isn’t just a volume for followers of the Arts and Crafts movement or even for architects. It’s a book for anyone who appreciates good design and the principles of practical but graceful architecture. Beauty is aesthetically pleasing no matter what your style preference. 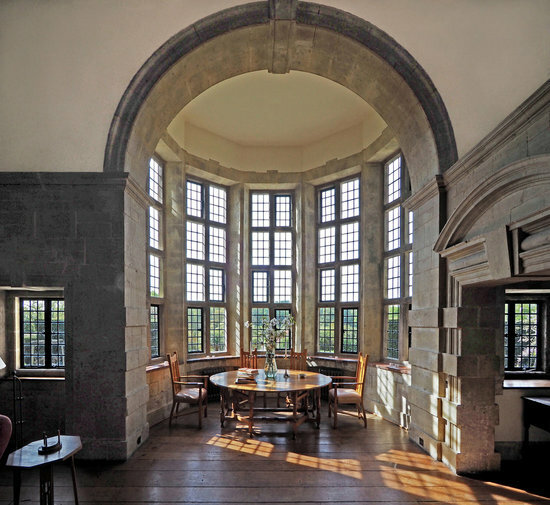 Cole expertly weaves Lutyens’ story and architectural accomplishments throughout the book while providing fascinating descriptions about the design background and history of the homes therein. Photographically he captures the light and space of Lutyens’ interiors as well as the splendid exteriors and grounds on every page. Reading through the book I was particularly pleased to see the oversized Tudor chimney stacks and gabled two-story porches which I associate with Lutyens’ style. It was also heartening to see that the past and present owners of these stunning abodes had retained the integrity of buildings and gardens regardless of changing times and fashions. Sir Edwin Lutyens – The Arts and Crafts House covers 45 dwellings, some previously unpublished. As an admirer of his work, this weighty tome genuinely feels like flicking through the architect’s substantial early portfolio. It is obvious why Lutyens is believed by some to be Britain’s greatest architect, and Cole presents his brilliance to perfection, furnishing the reader with a thoroughly-researched and beautifully illustrated book. 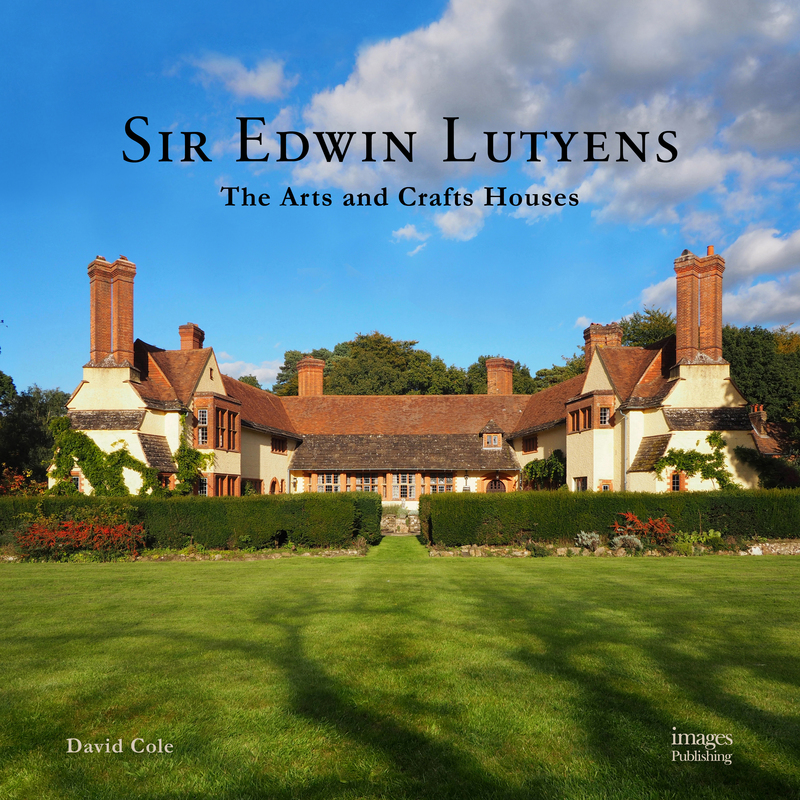 Sir Edwin Lutyens: The Arts and Crafts Houses is published by Images Publishing and available to buy now.